This id the last in my Graphic 45 secret garden series for now, and i had fun with this one! A couple of dies used – spellbinders nested tea cups for the vase, and Poppystamps madison window die. a punch for a bit of greenery in the vase, and 3 kaisercraft flowers to fill the vase. 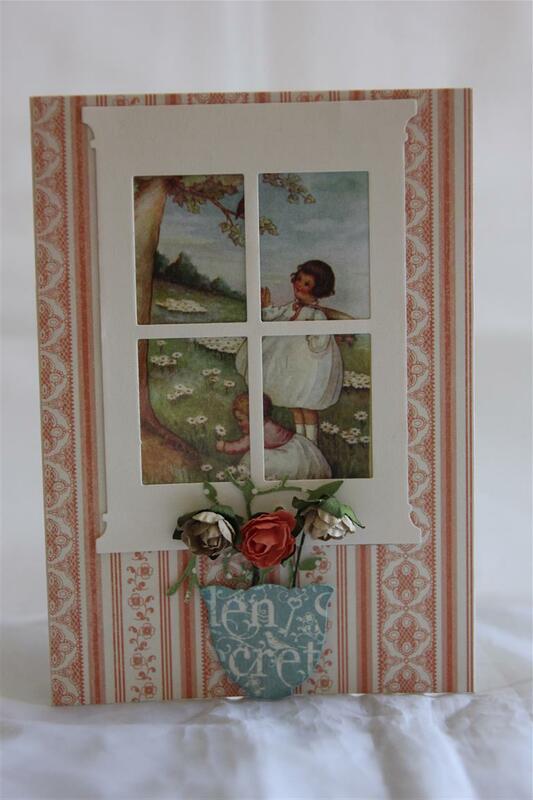 I backed the window with some acetate, and used secret garden papers for the little girls image and the wallpaper background. Once made I couldn’t decide what ocxcasion it would be best used for and nearly kept it in my private collection (!) 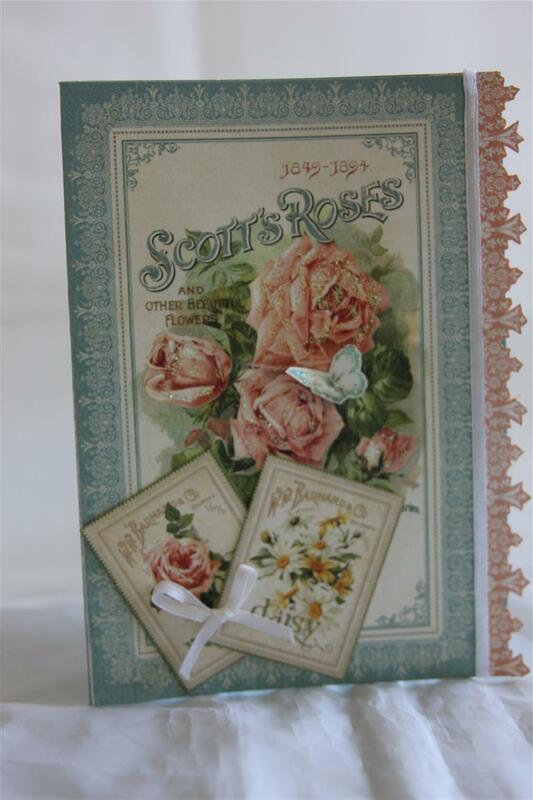 but thought maybe it would be suitable as a Mothers day card – we will see, if I still have it after Mothers day I will add it to my growing collection of cards I like too much to sell. Til tomorrow…. 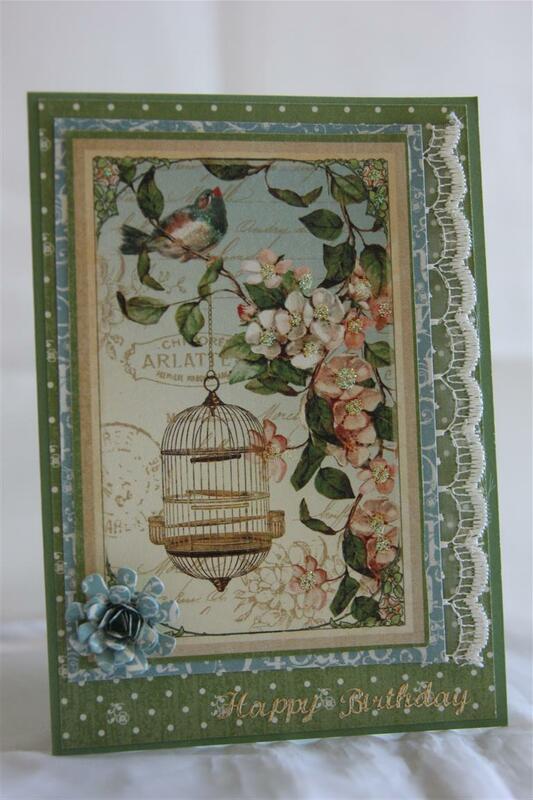 Anoher simple design, using the Secret Garden papers from Graphic 45. 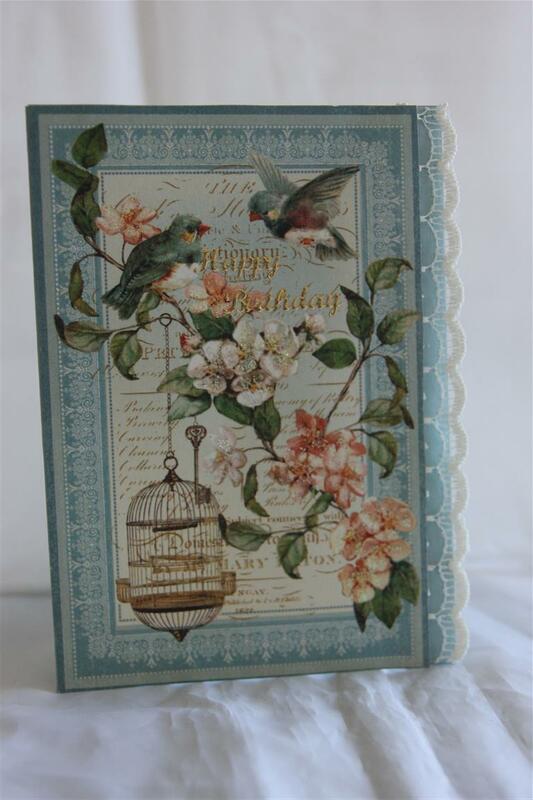 I fussy cut some paper to run down the right hand side of the card, and added some ribbon to hide the join.Another hot day here – it’s starting to get boring now….. so once again very little time spent in the craft room today, til tomorrow…. 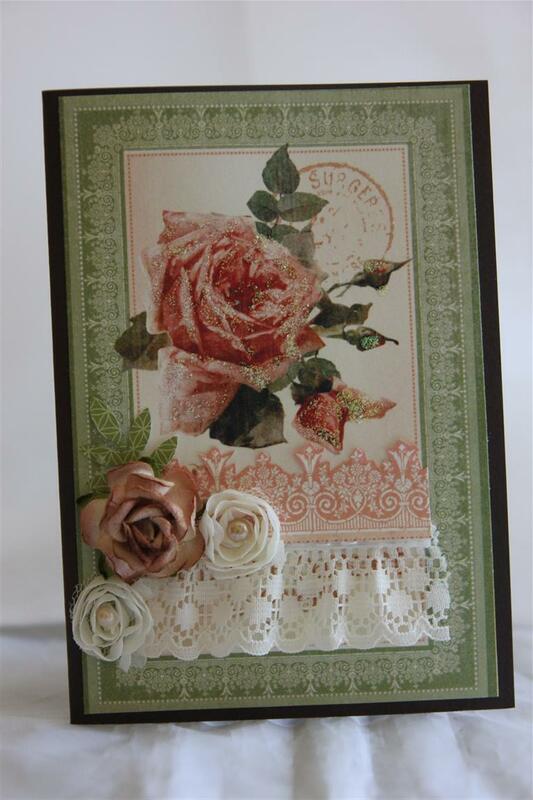 Graphic 45 secret garden patterned papers, layered a couple of times, and just a little lace and a handmade flower made with the same patterned paper using spellbinders bitty blossoms die. Quick post today, as I am heading into the craft room for the first time all week, and have many ideas to get down on paper! Til tomorrow….